It’s time! The first Daydream Believers Christmas deal drops TONIGHT at 7:00pm. This reversible kids apron is a must for your little helper or messy artist. Made with 100% cotton fabrics and twill ribbon tape. Reversible, double-layered design features red and black buffalo check on one side and COLORME Christmas fabric on the other. Two adorable designs for the price of one! 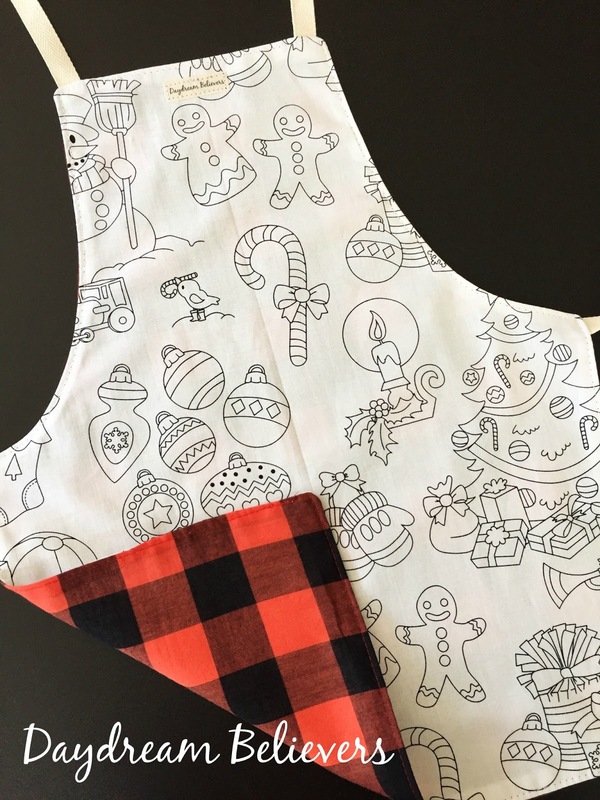 Kids love personalizing their apron by coloring it in with fabric crayons or markers. 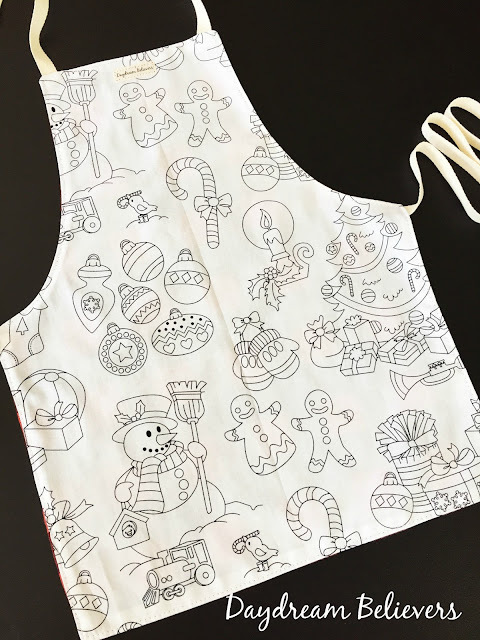 Fabric crayons will be available to purchase with each apron for $5. 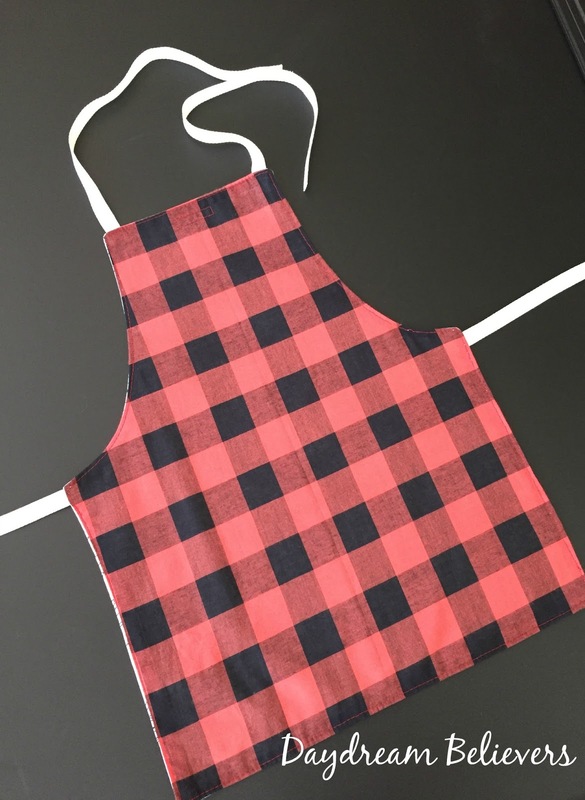 Aprons will be available to purchase Sunday 11/6 at 7:00 EST, IN THE SHOP.